When the New Hampshire snow starts falling, Lovering Mitsubishi has you covered. We are a BOSS Snowplow Retailer located in Concord, NH. With many items in stock for your snowplowing needs, we are the go-to retailer in New Hampshire for your snowplow purchase. Our parts department is here and available to assist you with all of your BOSS Snowplow needs, and we also can handle all of your sander needs too! Call Our Parts Department and Speak With a Parts Manager To Get Your New BOSS Snowplow Today! Are you looking to finance your new BOSS Snowplow? We are able to help secure financing for you if you don't have cash up front. We work with Sheffield Financial where they offer no interest for 6 months, with payment followed by 9.99% APR for 36 months. Ask us about financing your BOSS Snowplow with Sheffield Financial when you order! 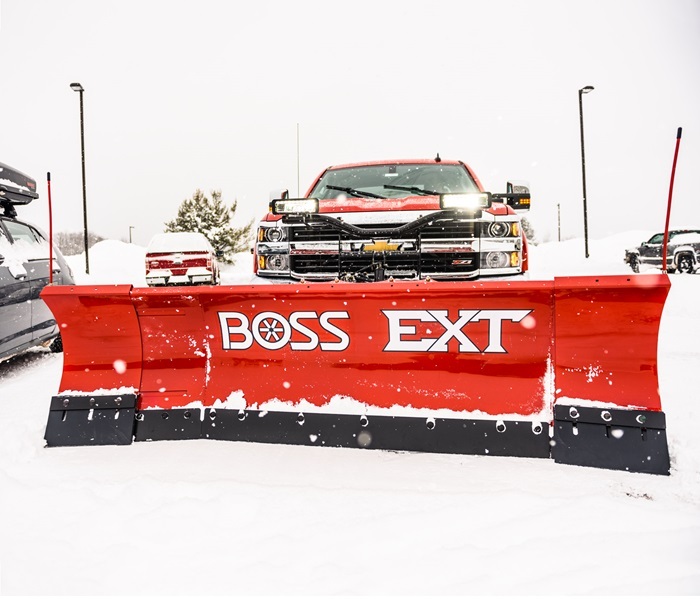 The EXT is BOSS' latest innovation with expandable wings that enhance productivity and efficiency to put New Hampshire's winter in its place. The BOSS DXTs are the ultimate tools for fighting all things snow and ice. The flared wings with an enhanced curl, throw snow with maximum efficiency and the DXT's multi-position plow blade can quickly and easily switch positions to move large amounts of snow. Patented Dual-Trip Design for enhanced plow protection when striking hidden obstacles in any position. Chainless Hydraulic Cylinder Lifting System greatly reduces bounce during transport and provide full float capability. 1/2" x 6" Long-Lasting, Durable Base Angle to provide extended wear resistance and comes with built-in curb guards and patented snow catcher. Perfect for the light duty truck, the HTX V-plow and HTX Straight Blade plow puts just the right amount of steel in exactly the right place for the best combination of strength and weight. 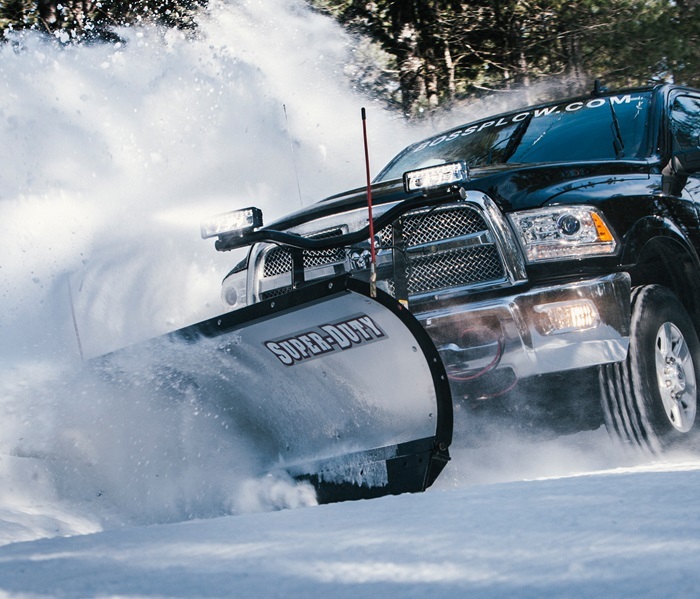 Designed for the toughest jobs, the BOSS Trip-Edge Snowplows are engineered to power through the heaviest snow and any obstacles that come with it. Trip-Edge Snowplows feature four adjustable trip return springs, so you can customize the trip spring tension for the job at hand. Trip-Edge Design Base angle or cutting edge trips back to protect the plow and truck from damage when obstacles are encountered. Adjustable Trip Springs let the operator adjust the trip-edge tension according to the job at hand. High-Strength Steel 1" Diameter Pivot Pin lasts longer, increasing the life of the plow. Cast-Iron Plow Shoes provide extended wear resistance compared to steel shoes. 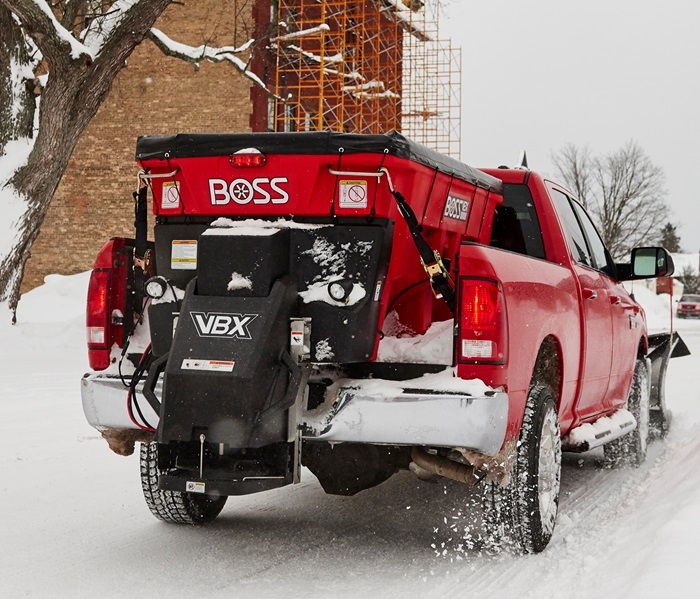 BOSS VBX Spreaders are some of the most powerful tools in your snow and ice-removal arsenal. Our fast-growing family of VBX spreaders are fully featured for ease of use and maximum productivity for years of operation in harsh winter conditions. Call our Parts Department to speak with a Parts Manager today! We can be reached at (866) 935-4420. We look forward to seeing you and assisting you with your purchase! 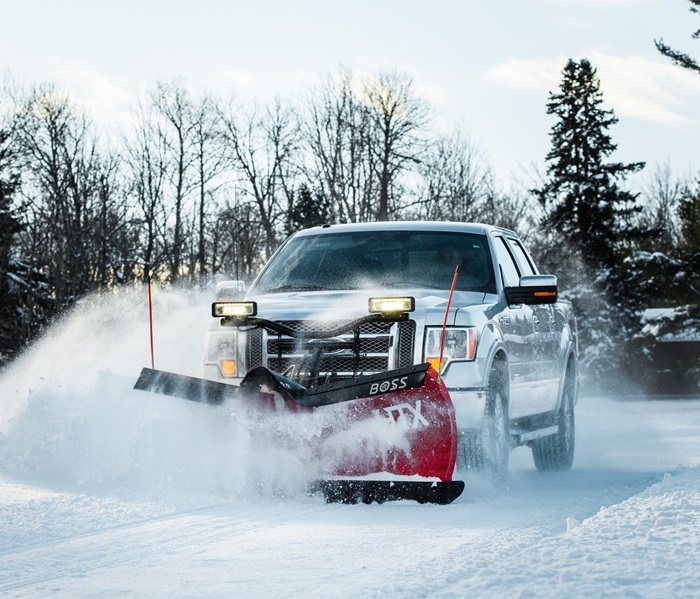 All BOSS Snowplows and spreaders come standard with the BOSS 2-Year Limited Warranty, protecting against material defects for peace of mind. 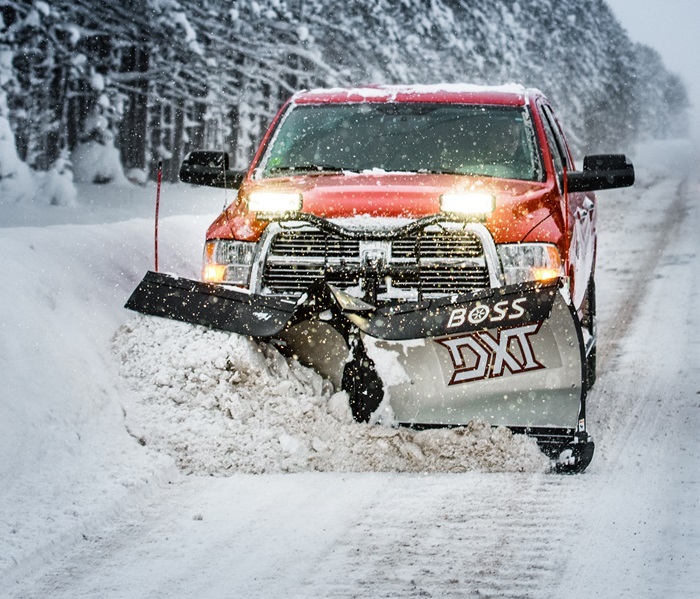 BOSS began manufacturing snowplows in Iron Mountain, Michigan in 1985 and is now a leader in the snow and ice management business with a growing line up of plows for trucks, UTVs, and ATVs, salt and sand spreaders and box plows built for the snow and ice management professional, as well as the homeowner.